Walnut High School "Blue Raiders"
Walnut is located in the northwestern portion of Illinois in Bureau County on Illinois Route 92 approximately 27 miles west of Interstate 39. Walnut's current population is 1,500. The Walnut school system traces its roots back to 1890 when the high school was officially established. The first graduating class of two students recieved their diplomnas in 1894. 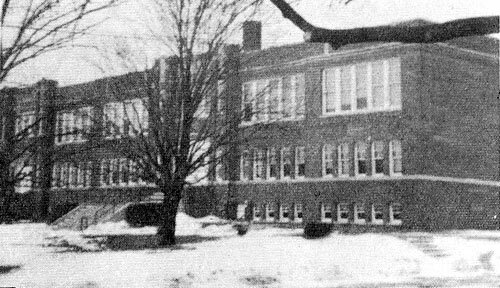 The brick high school building pictured above was built for $90,000 and was first occupied by students in 1923. 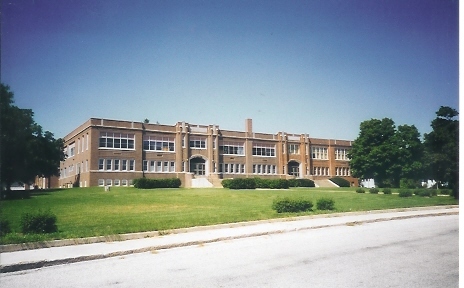 The high school served the community proudly until 1995 when, for various reasons, the high school was deactiviated. 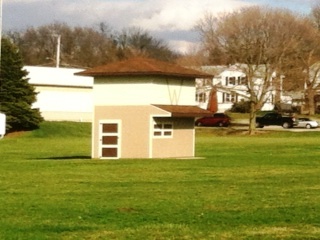 The high school districts of Walnut, Manlius, Wyanet, and Buda-Western all consolidated to form what is now known as Bureau Valley High School. BVHS is located near Manlius, however Bureau Valley North Grade School is in operation in Walnut in the old grade school building. The Walnut High School building was demolished and the land it sat upon was sold for residential lots. 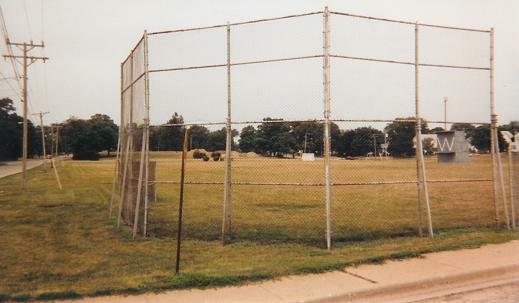 The old football field, filled with the cheers of some GREAT games of the past, is now known as Raider Park and is used for the city's youth soccer program. 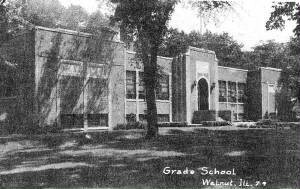 To view a GREAT web site on the history of Walnut and its school system please check out http://www.crunchygods.com/walnut/ . Excellent information and old photos to enjoy. Congratulations to Mr. Joel Bass for his efforts to honor Walnut. Walnut High School "Quick Facts"
School nickname: "Blue Raiders" , "Lady Raiders"
School Fight Song: Sung to the Ferris State University fight song tune. "Cheer on those Raiders, watch them fight. Boost those Raiders, they're alright. We'll stand by the Blue and White. Cheer that team to Victory. 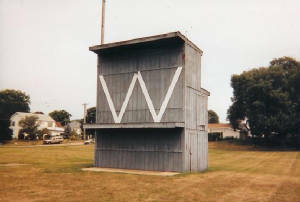 The Walnut Blue Raiders competed in the Blackhawk Conference from 1942 to 1977. For more information on the Blackhawk Conference check out John Ballentine's article on the GREAT CONFERENCES page of this site. 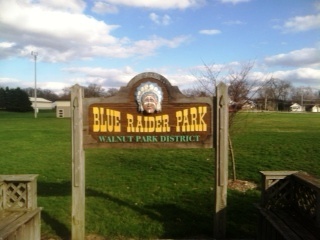 They then competed in the Indian Valley Conference from 1977 to 1995. What defined Walnut more than other schools of its size was the number of sports it offered for its student athletes. Though known for their great success in football over the years, the Walnut High School athletes were consistently competitive in any sport they participated in. The Walnut Blue Raiders were known for their excellent football teams, especially in the late 1970s and throughout the 1980s. The WHS football teams qualified for the IHSA state playoffs an incredible 10 straight seasons (1979-88), a streak in which they went 98 - 17!. The highlight of Walnut High School sports occurred during the 1982 football season when the Blue Raiders finished second in the IHSA State Football Playoffs for Class 1A. As pointed out by Clay Haurberg, the Blue Raiders won 14 Blackhawk Conference Championships and 9 Indian Valley Conference Championships!! Below are listed some of the greatest of the Walnut Blue Raider football seasons. Aquin lost in Final 4 Rd. Orangeville lost in Final 4 Rd. -34 - Yardage accumulated by the DePue offense against the strong Blue Raider defense in 1987. 4 - Touchdowns scored on reception by Jay Payne against Manlius in 1985. 20 - Total interceptions by Walnut-LaMoille's Brett Thompson in his career from 1989-1991, which is good for tenth in Illinois H.S. Football history. 99 - Yards ran by Chuck Woolley after recoving a fumble going all the way for a touchdown against Tampico in 1981, fifth longest in Illinois H.S. Football history. 2,137 - Total passing yardage thrown by the Walnut offense in 1985. In a March 7, 1957 Regional Tournament game against Mendota, the Blue Raiders scored on 33 straight free-throw attempts and finished 45-for-53 overall in the game. That is a state record! Ronnie Gloden scored 22 of the 45 made. The Blue Raider girls faired well in track and field during the early 1980s bringing home 6 medals from the IHSA State Track Meet. Their accomplishments are listed below. Walnut's Blackhawk Conference baseball championship teams are listed below from research conducted by John Ballentine. 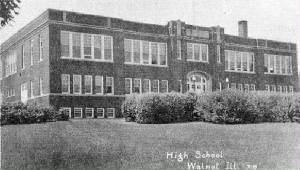 Walnut had an excellent music program within the school, as it's program won the Class D championship in the IHSA Music Sweestakes in 1995, their final year of existance.